Although it is not a legal requirement, the vast majority of people and businesses entering into real estate transactions work with an experienced attorney. The stakes are high in real estate matters with significant financial risk for everyone involved. Whether buying or selling residential or commercial real estate or engaging in other real estate transactions, such as foreclosure defense or real estate litigation, it is important to talk with a St. Louis lawyer who can protect your interests. A short sale occurs when a property is sold at a price lower than the amount the homeowner owes on the mortgage, and the homeowner’s mortgage lender(s) agrees to the “short” payoff. A lender might accept a short sale with the property worth less than the balance of the mortgage, if the borrower cannot continue to make the monthly loan payment, does not have enough money to pay back the full balance of the loan and needs to move out of the property. Kenneth P. Carp can assist you to dispose of your home in a short sale, negotiating with your lender to accept a reduced amount of your debt. Negotiations can include lender’s terms, real estate commissions, sale price and even closing costs. Easement and boundary disputes: Property owners often believe they know where their property lines really are or believe that their access rights are secure. Only if you or the owner of a neighboring property performs a land survey can you be absolutely certain about your property boundaries and often times land surveys result in easements or boundary disputes. Title insurance litigation: Title insurance protects against title search errors, undiscovered title defects, and losses that arise from disputes over property ownership once the property has been purchased. Many title problems arise through the rejection of the title by the buyer’s lender. When this happens, quick action is needed to find a mutually agreeable solution. Quiet title litigation: Filed to establish ownership of real estate. These disputes arise from properties that have changed ownership several times. Loan modification is the alteration of a mortgage loan agreement between the lender and the borrower. Loan modifications can be extremely beneficial to a borrower because a St. Louis loan modification may decrease the interest rate, reduce some of the principal, cut back late fees or other penalties, or even lengthen the term of the mortgage loan. If you are struggling to make your monthly mortgage payment, it is important to speak to an experienced St. Louis real estate attorney as soon as possible. If you have a legal dispute concerning a real estate transaction or any other aspect of land or home ownership, the Law Office of Kenneth P. Carp is more than equipped with the necessary resources to attempt to negotiate and settle your matter. However, if that fails, Kenneth Carp is fully prepared to take your matter to court and aggressively fight to protect your rights. 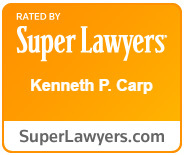 Call The Law Office of Kenneth P. Carp today at (636) 947-3600.